I am a little bit late to the party writing this up but I wanted to play with all my Secret Santa goodies before writing the post! I took part in the 'Bloggers Secret Santa' organised by Gemma at Miss Makeup Magpie and Laura at Tease Flutter Pout-both absolute dolls with lovely blogs. I was paired up with Gem-because I live abroad and wasn't arriving in the UK until the 21st December, Gemma kindly offered to be paired with me so I didn't massively stress about my partner not getting their gift before Xmas. As it turned out Gemma's did arrived before Xmas and you can read what I got Gemma in return here. Gemma did amazingly well with my gifts, she got me things (aside from the Revlon) that I can't get in Dubai. NYX Black Label Lipstick in Poem, Zoya nail polish in Carly, Revlon Colourstay Creme Gel Eyeliner, Collection Colour Pro Intense Lip Lacquer in It Girl 3 and Sleek Blush in Suede. 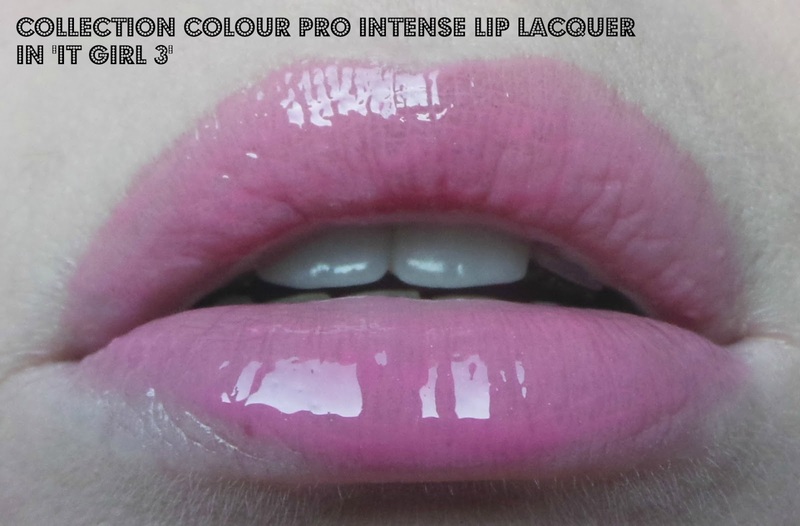 The Collection Lip Lacquer has a long wand which makes precision application a sinch. I love the glossy, mirror like shine baby pink! 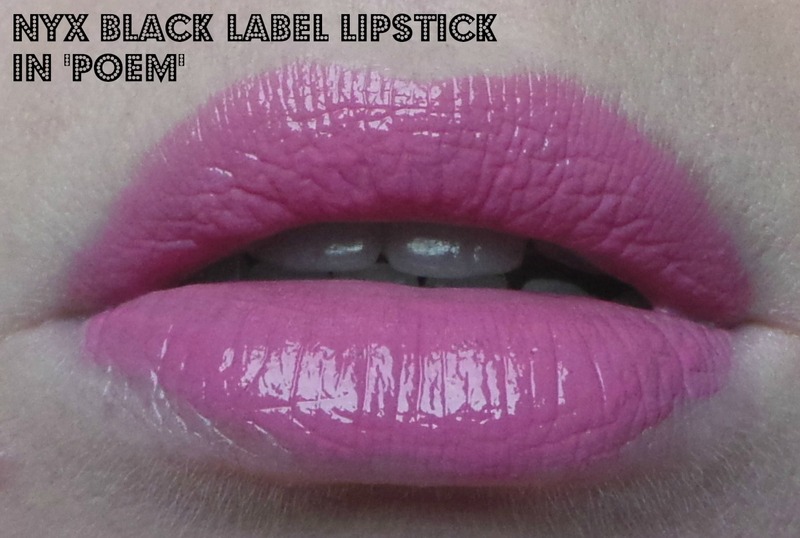 I've never tried anything from NYX so was excited to try this 'Black Label' lipstick. It's very creamy and smooth to apply and just glides onto the lips. It's also really hydrating and lasts a good couple of hours before fading. 'Poem' is a blue based almost barbie pink with a glossy finish. I have wanted to try Zoya for the longest time after seeing a couple of rave reviews on Gemma's blog. I have been blown away by the forumla of 'Carly', it was opaque in just one coat and applies evenly. The colour is amazing!! It has a glossy, almost foil like finish, a deep purple with a slightly red tone to it. I am in love!! In the photo above I am wearing the Sleek blusher in Suede and the Revlon Colourstay eyeliner. I am pretty rubbish applying eyeliner but when I do, the Bobbi Brown gel eyeliner is my liner of choice. I have heard loads of good things about this Revlon gel eyeliner and rightly so. I used my Bobbi Brown eyeliner brush to apply it and it is just as good as the Bobbi Brown liner for a fraction of the price. Ooooh fun!! I've been wanting to do a post to see whether anyone wanted to do a little beauty swap, it's so fun! Last year I participated in a local Secret Twitter Santa with a bunch of beauty lovers, but this year sadly the organiser didn't have the time to set it up. All them products are gorge. You look lovely in your pic. I love sleek blushers have a couple now and use them lots. You got some lovely items - The Collection lipgloss look really nice and super glossy, i love sleek too they are very affordable and their makeup is brilliant! I have been wanting to try Zoya for a while their polishes are stunning! Hey Stacey, oh this looks like fun! I know what you mean by the gel liner as well. I haven't tried that particular one. I'm running out of my pot of Bobbi Brown, and I am going to replace it with Maybelline (which I used before). Between this black gel liner and that one, I really don't feel the difference. As long as the packaging is solid and it won't dry up too soon, I'm happy to go bargain! What a great idea -- Blogger Secret Santa is the cutest beauty community activity I've heard of in a long time! As always, the lip colors look fabulous on you. I hope your year has been off to a great start, Stacey! how fun! 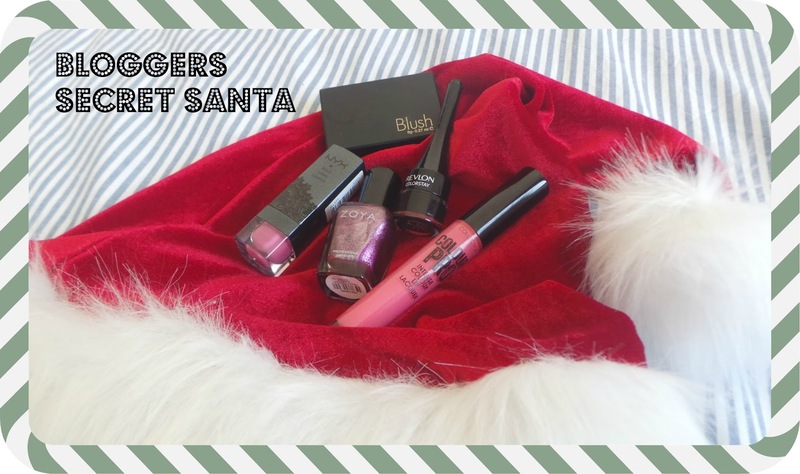 the blogger secret santa sounds like such a fun idea :) everything here sounds amazing, especially the sleek blush in suede!